Thanks to blockchain, the world’s stock exchanges are now being reimagined from the ground up. With fees charged by countless brokers and other middlemen, moving transactions to a shared, distributed ledger has been touted as a way to free up money to be invested in other opportunities. But even so, according to Bernie Kennedy, a senior business advisor to the Hong Kong Stock Exchange (HKEX), there are advantages to being not an early adopter, but a fast follower. 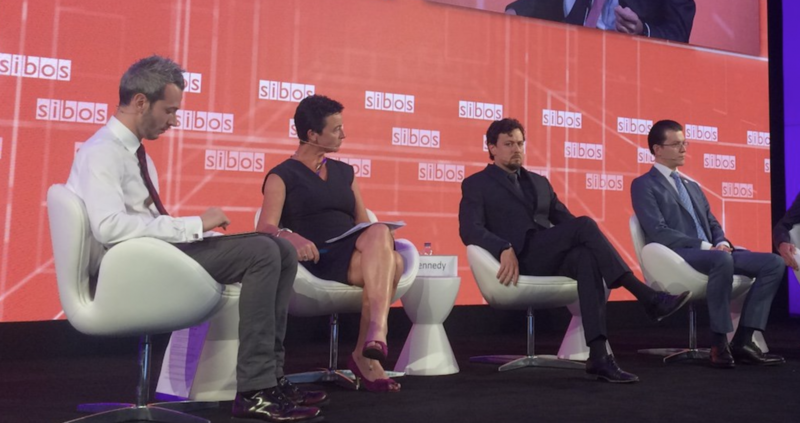 During a panel at Swift’s Sibos conference last week, Kennedy indicated that she’s content with moving slowly toward blockchain adoption, learning first from the successes and mistakes of others. As part of the HKEX’s exploration of the technology, the firm plans to launch a private market for smaller companies interested in building blockchain applications and is engaging with the Australian Securities Exchange and others to explore other use cases. For those answers, Kennedy is studying the moves of other securities exchange incumbents – which she said have significantly more advanced blockchain projects – as guidance. One of the counterparts Kennedy is looking to – Sergey Putyatinskiy, CIO and board member of Russia’s National Securities Depository (NSD) – shared the stage with her during the panel. Putyatinskiy contended that yes, blockchain could help stock exchanges “leapfrog” to state-of-the-art new systems. The NSD’s work with blockchain-based securities is among the most advanced revealed to the public so far. Since beginning its exploration of blockchain over a year ago, the NSD has published the results of an early test for a proxy voting solution using the NXT blockchain and – as revealed on stage – has sold a $10 million bond by Russian telecom MegaFon using the open-source Hyperledger Fabric platform. The latter project, expected to mature before the end of the year, was built with input from Russia’s central bank as part of the NSD’s larger push to create more transparency in an effort to woo foreign investment. Another leader represented at the event was Banca IMI, a subsidiary of Italian banking group Intesa Sanpaolo, which has been experimenting with using blockchains for the issuance of securities. During the panel, head of interest rate and credit models at Banca IMI Massimo Morini revealed a new ethereum securities application for integrating external data. Designed to automate the collateral management process, the project is part of a larger effort by Banca IMI to “layer” public blockchain functionality on top of a private blockchain. But none of those projects are yet live, which hints at the lingering questions that remain about how a blockchain solution would work for a securities exchange. For instance, HSBC’s global head of custody John van Verre, wondered about liability concerns on the panel. HSBC’s work in the area appears to be largely focused on supply chain trade finance and the potential issuance of fiat currencies on a blockchain. But according to van Verre, that’s because the risk from corporate actions related to a company’s shareholders was higher at HSBC, and there isn’t a clear view of who gets blamed if something malfunctions within these blockchain ecosystems.